The Gallery will be open until 8pm on Thursday 29 Nov and Thursday 6 Dec for Christmas shopping evenings. 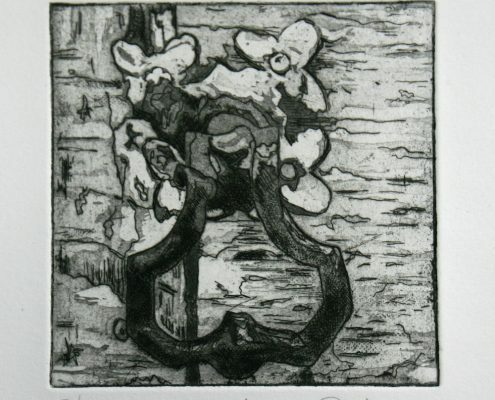 A Christmas show of traditional print making: etching, lino printing, mono printing, screen printing. All work will be framed or wrapped and available to take away with you. Melanie Bellis, Ian Burke, Sandra Daniel, Sally Grumbridge, Adam Hogarth, Frances Kiernan, Peg Morris, Richard Peacock, and selected students from Kingston School of Art, BA Fine Art. 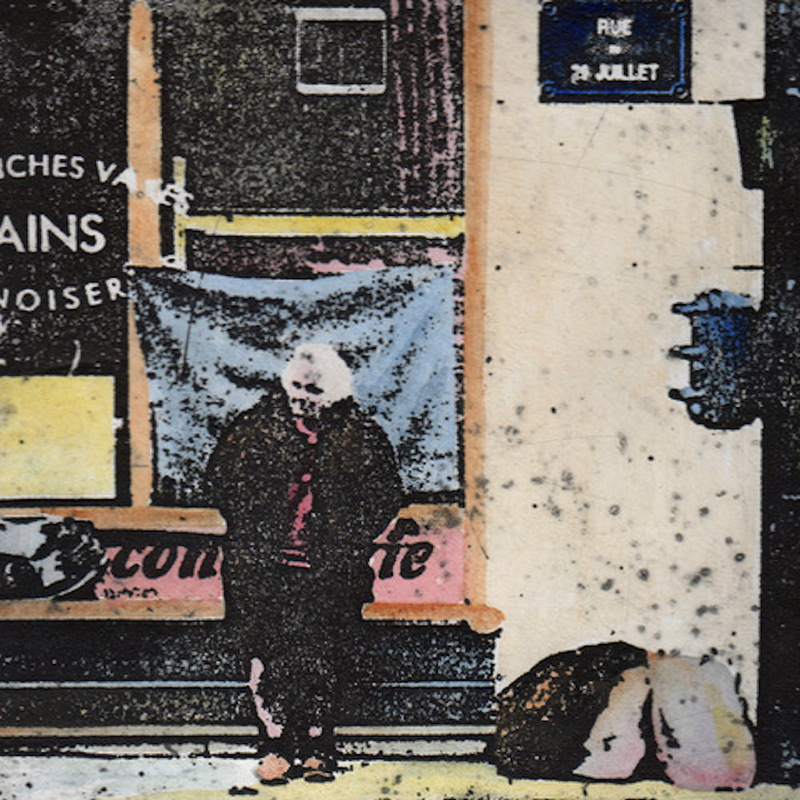 MELANIE BELLIS’ work is inspired by buildings either under construction or deserted and derelict. The underlying theme in her work is change, capturing the mood and character of a place at a specific moment in time. 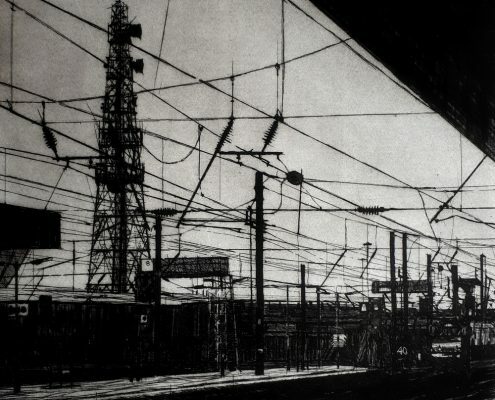 She works from observation drawing on site then develops her drawings into atmospheric etchings. 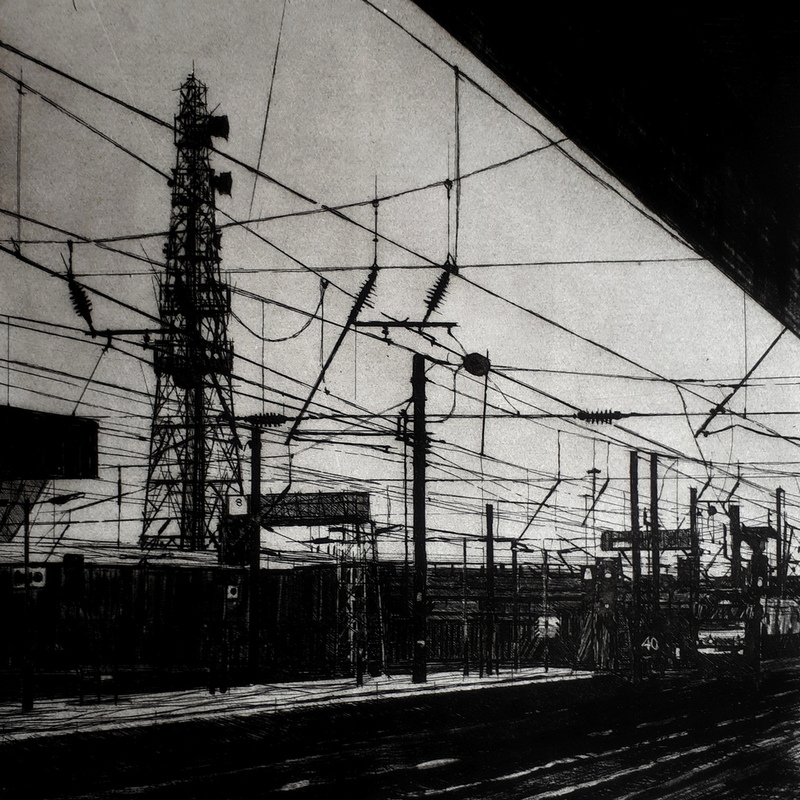 Etching is central to her work, and she uses it to achieve intense line and tonal contrast. The final image has a sense of impact, presence and place. 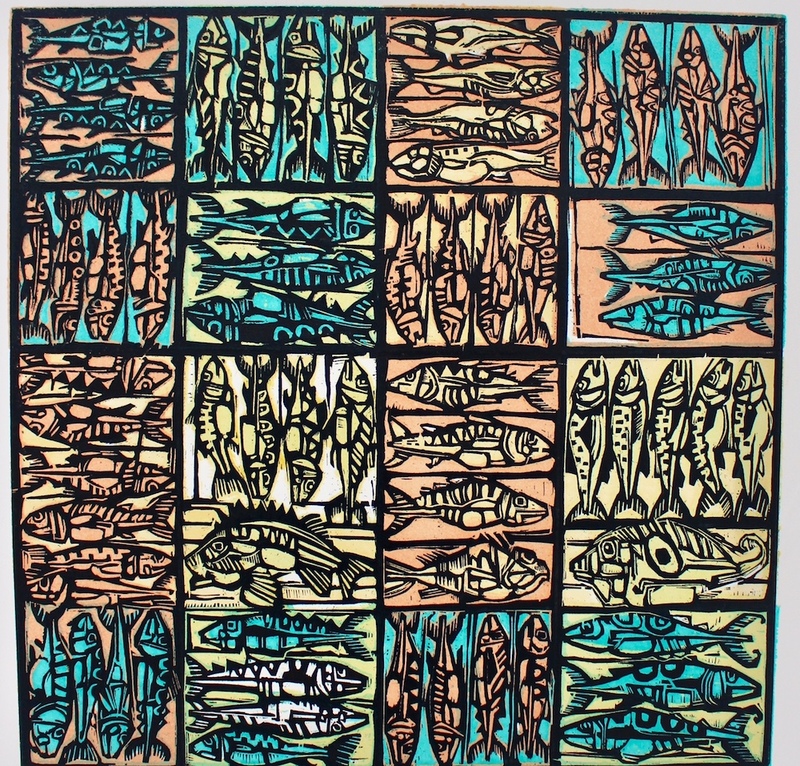 IAN BURKE works with relief print methods including woodblock and lino print. He enjoys the physical contact with wood and carving tools and the direct nature and visual impact of the medium. Everything starts with observational drawing and then the resulting drawing dictates the relief methods and process. His images relate to his home on the North Yorkshire Moors and its coastline. 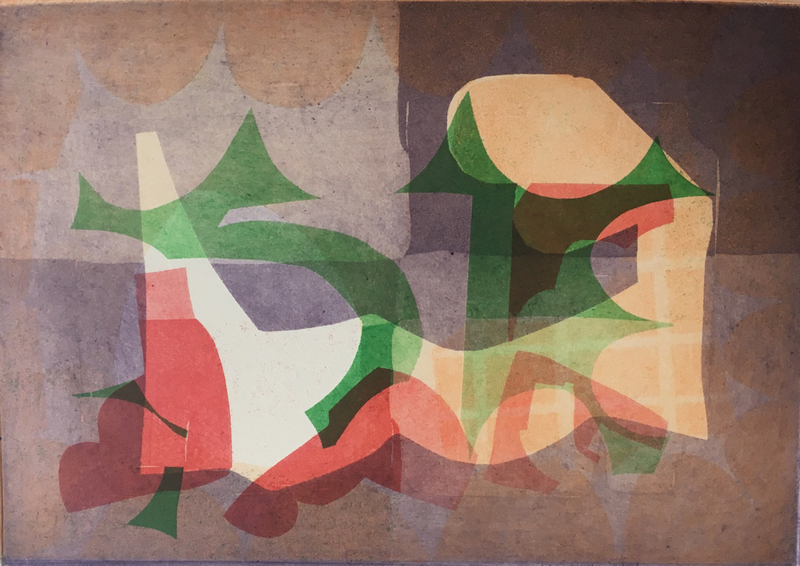 SANDRA DANIEL uses monotype, etching, drypoint and multi-plate aquatint to explore the endless possibilities of layering cut-out shapes against strongly juxtaposed colours. 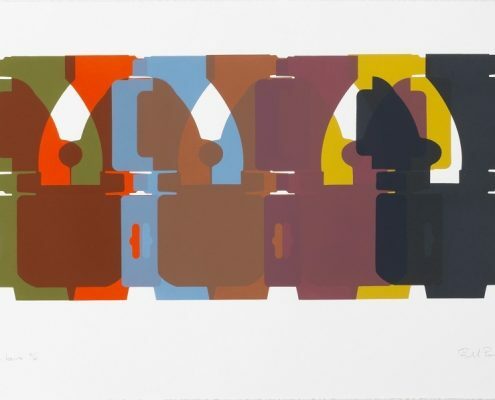 These shapes originate from her personal interest in current and past sociocultural issues. The result is full of surprises and manifests itself as a celebration of formal values such as; line, colour, shape (negative & positive), texture, proportion and composition. 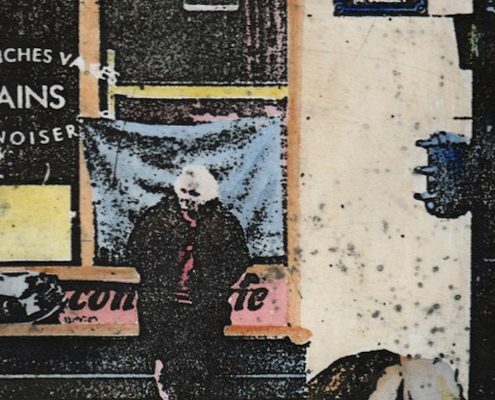 SALLY GRUMBRIDGE experiments with different printmaking processes, from photo etching to collagraph to relief processes, often combining different techniques. Colour is one of her main driving forces while personal experience, cultural or historical subjects often form the basis for her art. Often she uses life studies or photography as a starting point and, by distorting or deconstructing the images, creates an interesting ambiguity in the final piece. 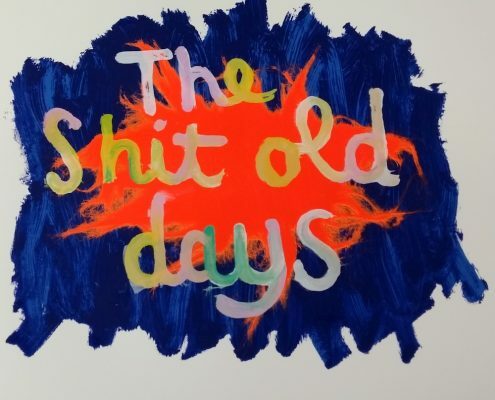 ADAM HOGARTH‘s artwork is a realisation of the slow, impending march of our individual and collective doom. 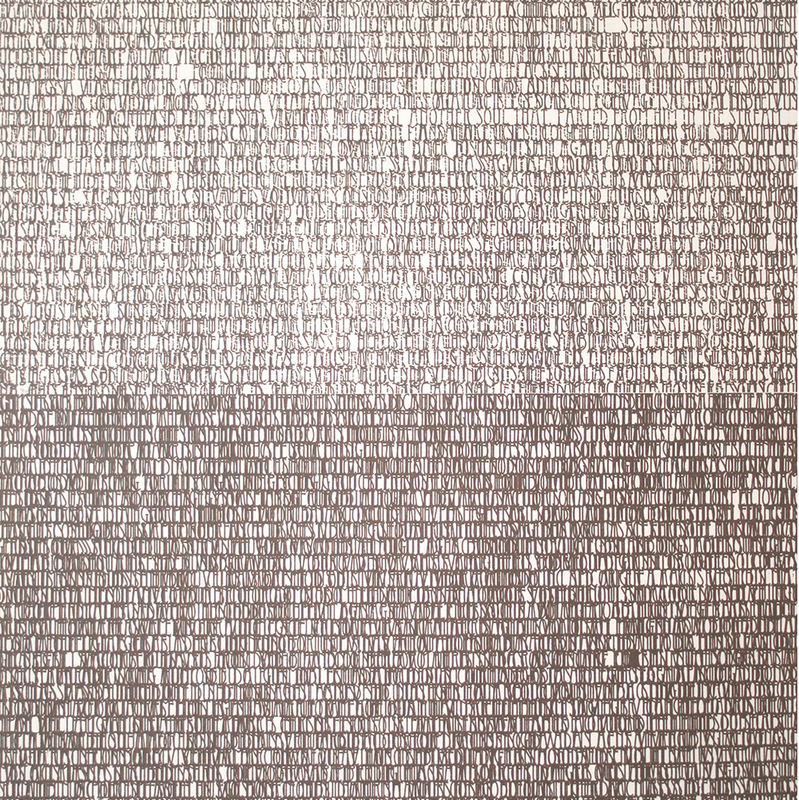 Frances Kiernan‘s interest in landscape, language and memory is always present in her work. 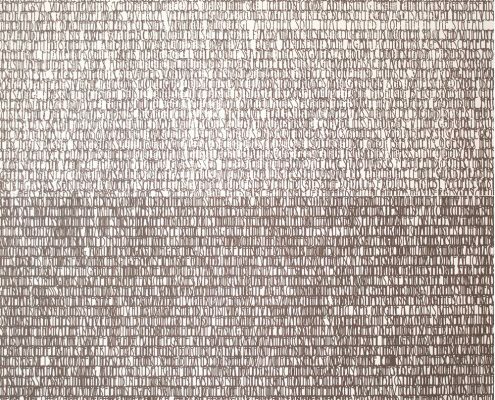 Her latest prints explore ideas around the code breaking of writing systems such as cuneiform (a system of writing on clay tablets first developed in ancient Mesopotamia). 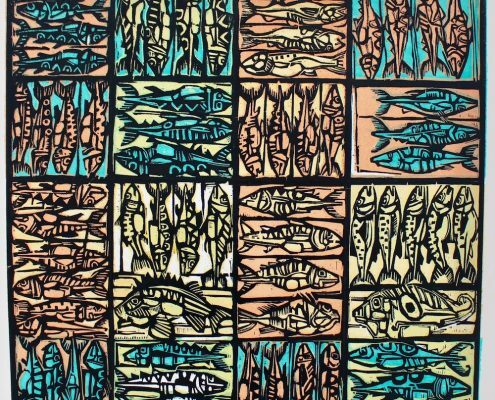 “I love everything about printmaking – the rhythm, the methods, the pace, even the cleaning up  – it’s a kind of meditative process for me”. 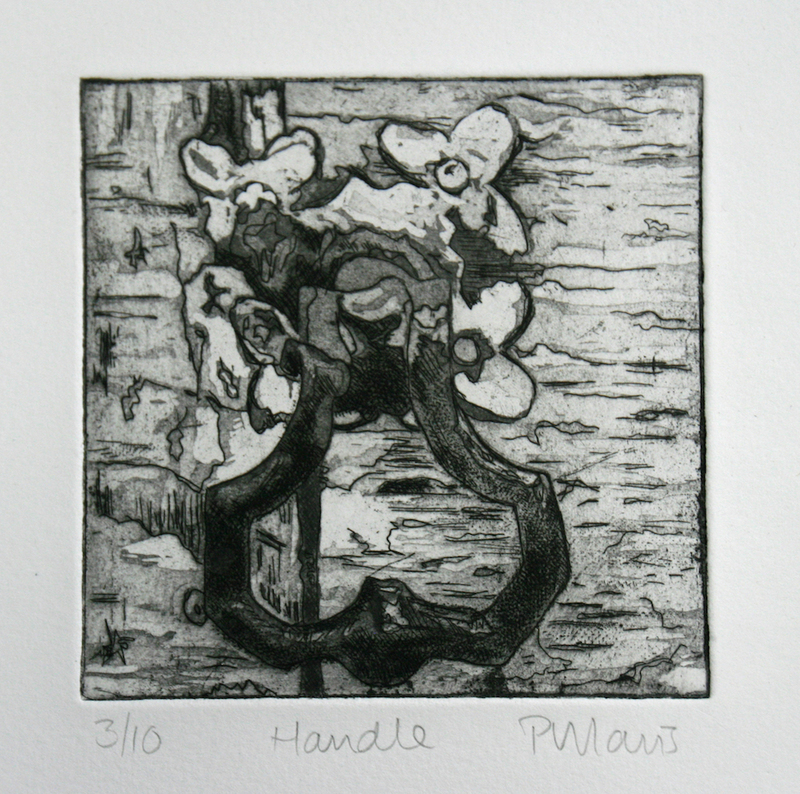 PEG MORRIS’ etchings focus on significant forms, colours, textures and patterns in natural and urban landscapes. A common thread linking much of her art is decay and abandonment. Inspiration comes from a weather-beaten tree stump, a track worn into the landscape by generations of feet, the erosion of landscapes or crumbling stonework on a building. The process of etching lends itself to representing these themes as the plate is itself eroded by the acid, scraped and polished, scratched and sometimes cut into fragments. 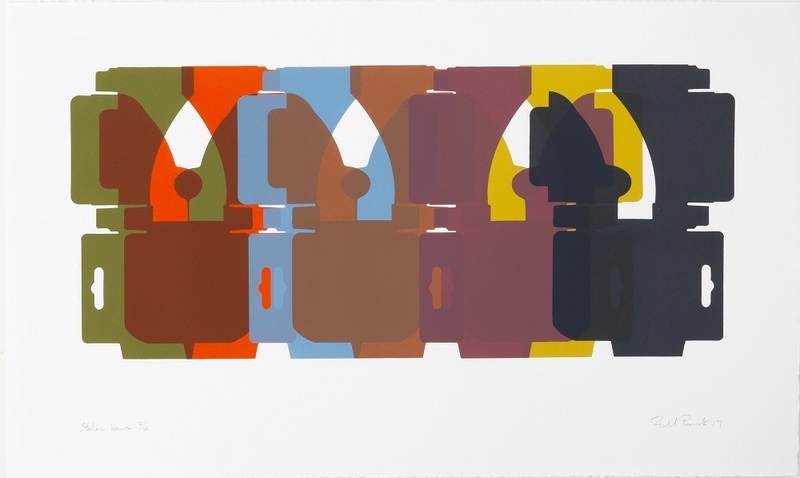 RICHARD PEACOCK brings together abstract and Pop Art elements in his work. 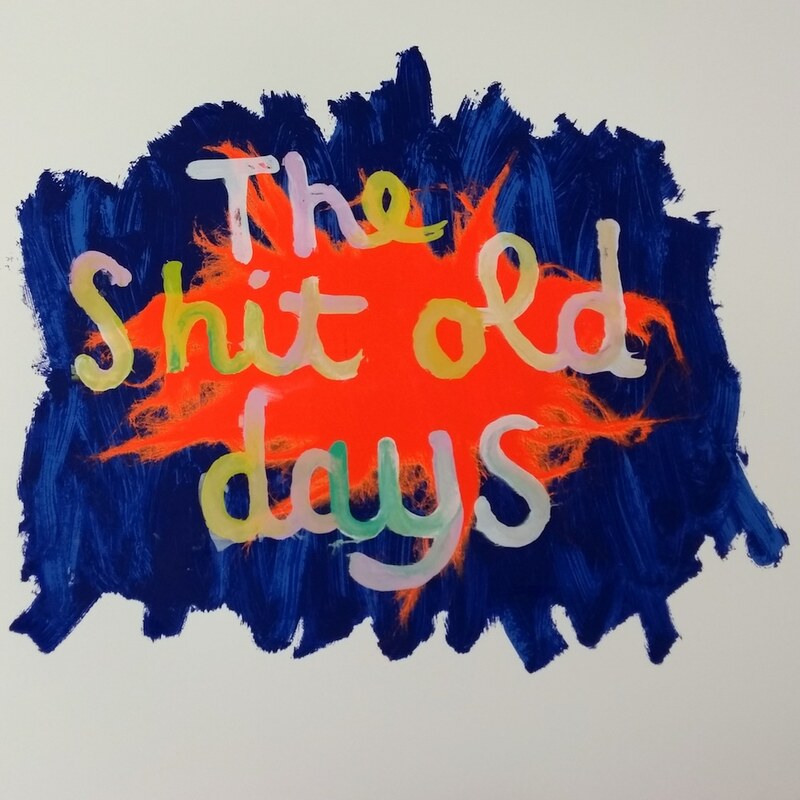 He uses cardboard packaging from objects, for instance, light bulbs as stencils for screen prints and weathered cable drums for woodcuts. 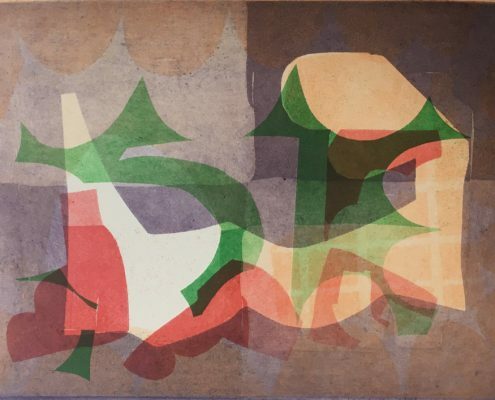 He appreciates the beauty of imperfections and misalignments by exploring geometry, patterns and colour in his work.